Technology was moving at a rapid place. Electric Cars replaced cable ones. The Los Angeles Cable Railway Company became replaced by the Pacific Electric Railway. Cities grew, requiring transportation for people and products. San Bernardino was considered the 'Gateway City' due to its involvement in the Pacific Electric Railway. Two main service cars ran the San Bernardino line: interurban red-colored ones and freights. For passengers, famous 'Red Cars' spanned from Los Angeles to as far east as San Bernardino. The latter consisted of locomotives transporting products from citrus and wine-making areas of Southern California to across the United States. These cars helped build the Los Angeles area cities. Later, it moved war materials and troops to Los Angeles ports. The line finally stopped in the 1950's, as electric cars left with the incoming of diesel powered ones. With railway abandonment came the idea of rails-to-trails. 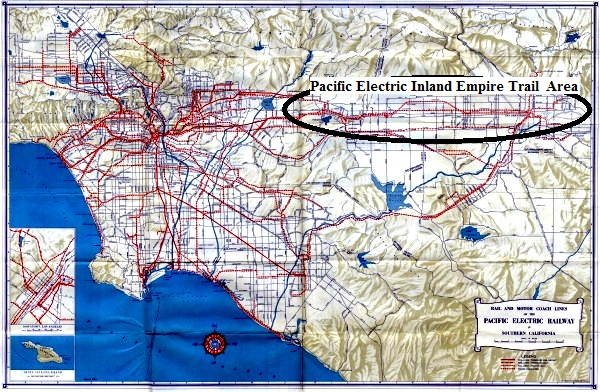 Designed by Steven Frieson of Birge Engineering, Inc., the unused portions of the historic Pacific Electric Railway were converted into a multi-functional recreation path. 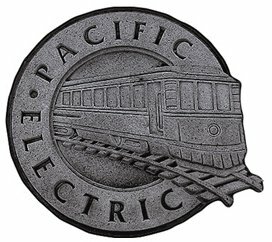 Afterwards, SANBAG partnered with the Friends of the Pacific Electric Trail to provide funding to build the trail path.